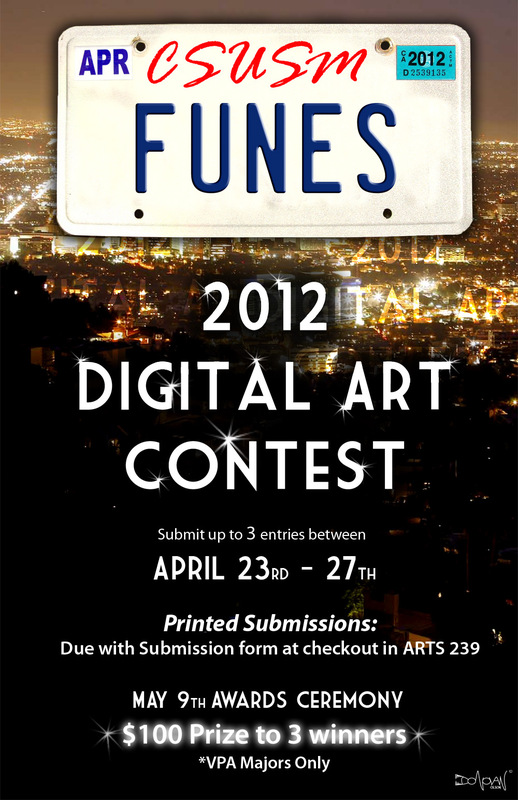 I have been chosen by the Cal State faculty to be the coordinator for the 2012 Funes Digital Art Contest. Here is the poster I created for the event. This entry was posted on April 5, 2012 by donovanolson. It was filed under Graphic Design, My Photography and was tagged with 2012, art, Art contest, cal state, Cal state san marcos, contest, CSUSM, donovan olson, Funes, Funes Digital Art Contest, Graphic Design, poster, poster design, San Marcos.